Whenever Beyonce wants to make a statement on Instagram nothing gets in her way, not her family, not her friends, certainly not her husband JAY-Z (who’s only just got out of the doghouse) and definitely not her kids. When writing about Beyonce you have to be mindful of many things, but most importantly never write anything disparaging her – unless you want to upset her legions of fans known as the ‘BeyHive’… they’re an interesting bunch to say the least. At the end of the day, it’s not just any new hairdo, it’s Beyonce’s new hairdo dammit. You know legions fans – be they famous or ‘basic’ – will be rushing to their salon’s to do their own cheap imitations and that right there is evidence of the influential power Queen Bey holds over us. Or rather anyone who happens to be obsessed with every little thing she does. While her new hairdo is quite lovely, eagle-eyed fans were quick to spot something odd in the picture, two little legs with distinct gold sneakers popping up behind a security guard. Who could those tiny pins belong too? Definitely isn’t JAY’s. He’s got adult size legs and I’m pretty sure he’s taller than the guard sat on the chair? All logical conclusions point to them belonging to the Carter’s eldest child, Blue Ivy. 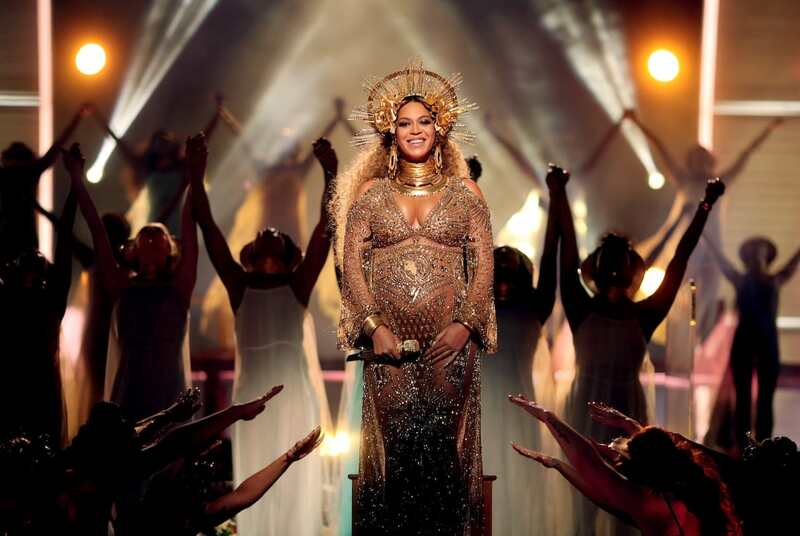 Patrick Swayze once famously said in Dirty Dancing ‘Nobody puts Baby in the corner’ – I guess Beyonce is the exception to the rule, no one’s getting in the way of her artistic vision. Now before you haters ring up child services, it could actually be down to a number of reasons? Maybe Blue just didn’t want to be in the picture and Beyonce doesn’t want to force her child to do anything she doesn’t want to do. Also, being one of the most famous people in the world, it means everyone’s watching what you’re doing and she doesn’t want Blue to deal with that kind of stress yet. 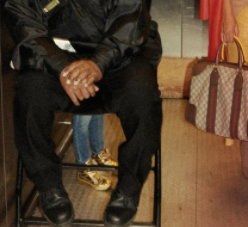 Blue ivy hiding in the picture ????? In July, Beyonce proved she’s the true queen of Instagram, when she unveiled her twins for the first time in a series of beautifully taken pictures. 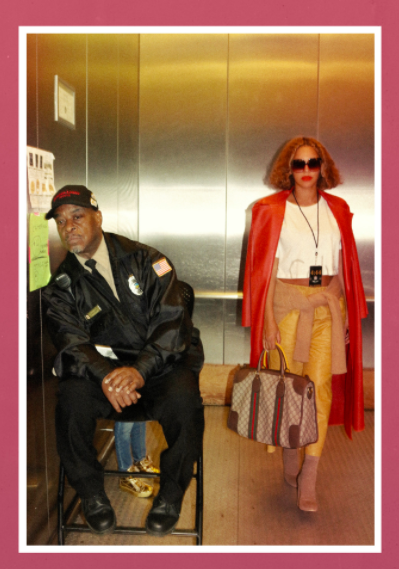 Recently Beyonce and Blue Ivy appeared in JAY-Z’s music video for Family Feud from his latest studio LP 4:44. The video was directed by Selma director Ava DuVernay and features cameos from Hollywood heavyweights: Jessica Chastain, Michael B. Jordan, Thandie Newton, America Ferrera, Brie Larson, Rashida Jones, Mindy Kaling and Rosario Dawson.